Click the menu below to navigate to the information you are looking for. By phone every workday between 9 am & 12.30 pm and from 1.30 pm to 6 pm. Starting from 25 December (2 pm) it is no longer possible to order your ticket online or by phone. Provided that the event is not sold out, you can buy tickets at the ticket desk at the Nekkerhal (see below). Payments via bank transfer are accepted until 5 December. Payments via Visa, Mastercard, Bancontact and Ideal are accepted until 25 December (2 pm). E-tickets that are payed for, will be send by email until 25 December. Unnumbered tickets and tickets requested to be sent by post will be arriving via regular mail until 16 December, after receipt of payment. If we do not recieve your payment on time, you can pick up your tickets at the counter. You will need to show us your proof of payment. Unpaid and unpurchased tickets will be sold at the entrance of the Nekkerhal as from 26 December (8 am). We open the cash desk every day 1 hour before the first competition starts. Further information: +32 (0)15 560 547. Wheelchair users need to buy a ticket, but their companion will receive 1 free entrance pass. These tickets can only be ordered by phone. A special platform is provided. Children up to 5 years of age get free access to the main hall. 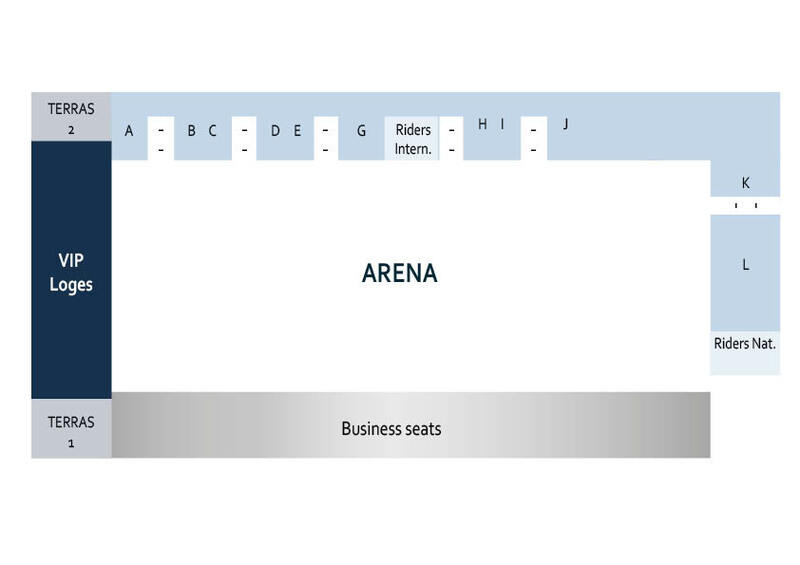 If they need to use a seat at the A Arena, they need a ticket. There are no separate tickets available that only allow access to the main hall or the B Arena. Tickets are non-refundable. Pre-sale prices include reservation costs but not the delivery of the tickets. . Please find all ticket options and prices below. Several organizations are offering special deals for the JM Kids Day (CERA, KBC, VLP, LRV, Pluspas and Landelijke Gilden). Domein Hofstade (starting 12 pm). At both locations, we provide a free shuttle service between the parking and the Nekkerhal. Please take a look at the page 'Parking' if you need more information on this subject.